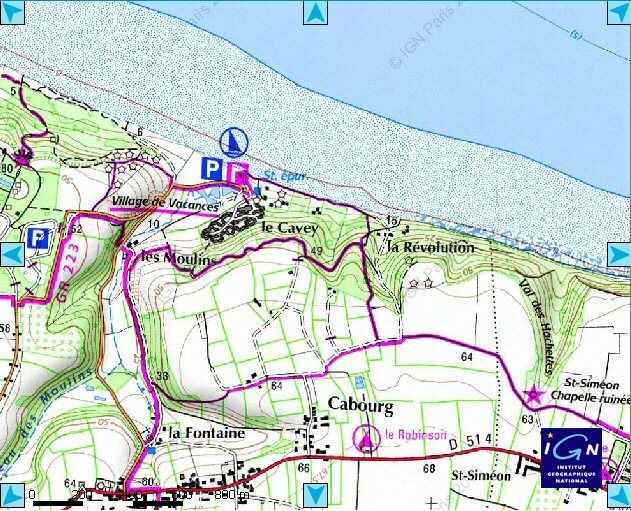 There is a place whose name is "Le Cavey" in the Calvados ! I am currently researching for a picture of this place. 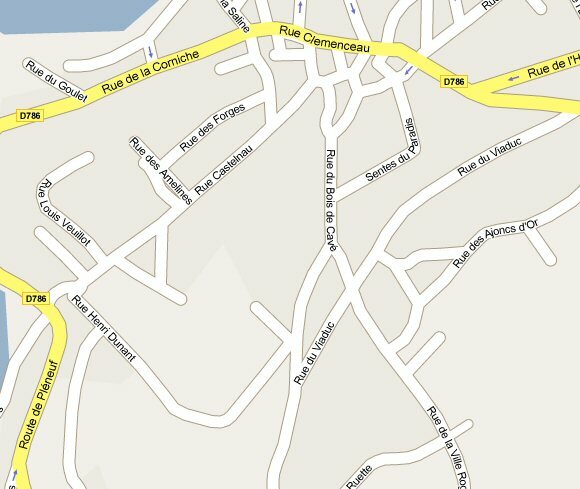 Here is a part of a map of Calvados. 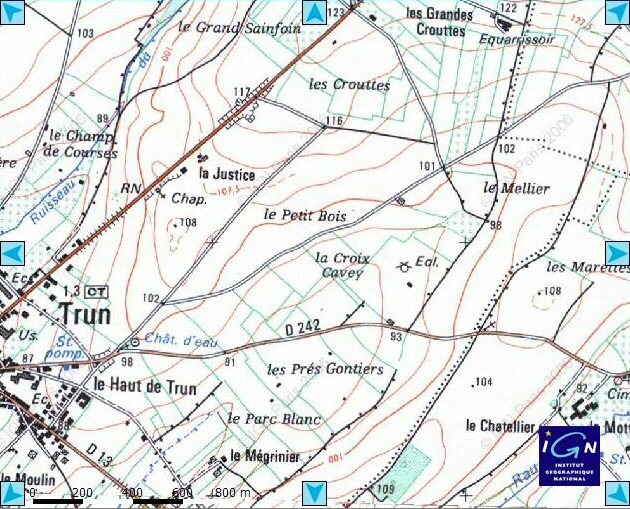 Le Cavey is on the top right of the map below. I have been told that there is also a Cavey Road in London WC1, however I am not sure of the spelling and have been unable to find it. 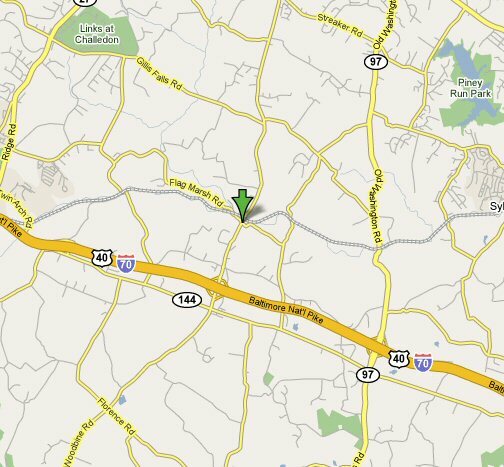 There is a Cavey Lane in Woodbine (Maryland) named after Doris Cavey relatives' farm. This is a picture of an other Cavey Lane crossing Woodstock Road at Ellicott City (Maryland). The picture has been taken by Richard Cavey on April 1998. Talley Cavey is a place in the Allegheny County (Pennsylvania - USA). 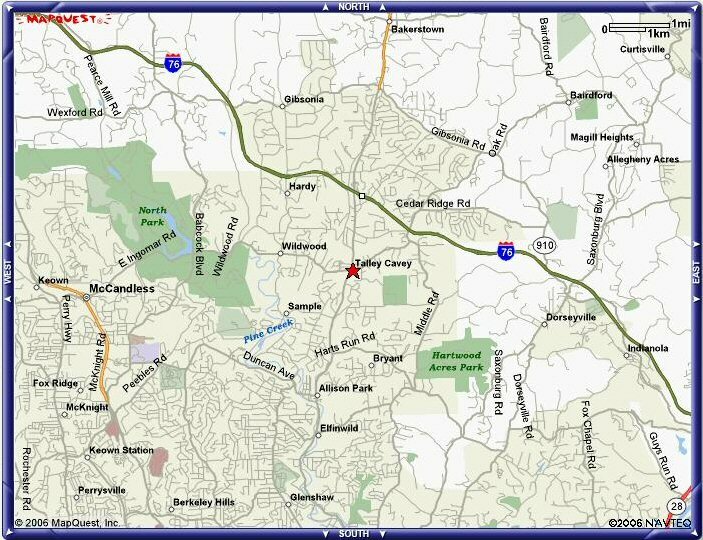 Cavey cemetery in Maryland (Howard County) reported by Dorothy Cavey Kolodziejsk. 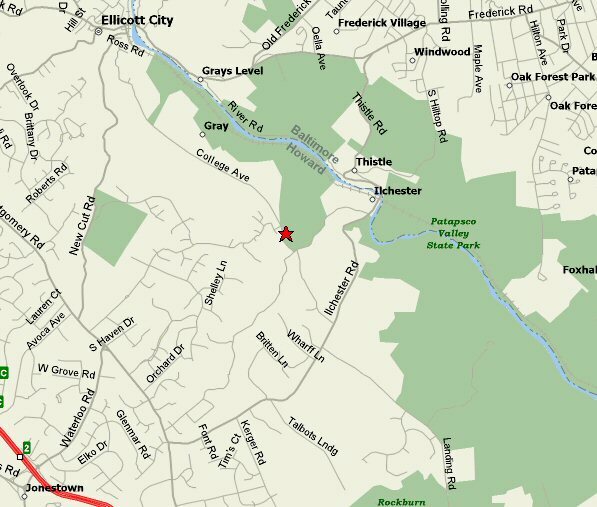 The cementary is close to Patapsco Valley State Park and College Avenue, just in front of Doncaster Drive. It is quoted several times on this site (Maryland - France). Vallon de Cavey is a small valley, at Erquy (Britany - France) : I got several post-cards from there on eBay. 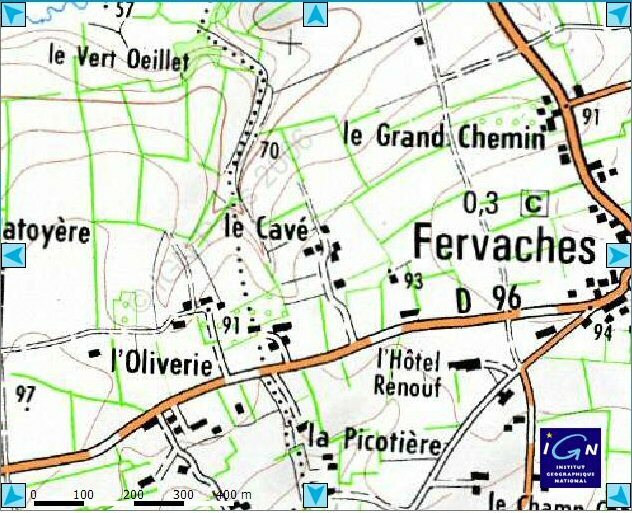 There is a "rue de Cavé" at Erquy but the misspelling is recent : the name is properly spelled on the post-cards printed at least until World War II. A day, I was looking for Cavey's name on the web and I had the idea to use "My Yahoo" and to click on the Usenet radio-button. In this news-group I found some messages regarding our surname, but one of them was especially interesting : A David Powell was searching for a town whose name was 'Cavey' ! G'day all! Anyway, another request. Anyone know where I can find the town of Cavey, in Co Tyrone. I suspect it's near Ballygawley, but I can't find it on my maps. Thanks : David Powell. In which country ? UK ? Ireland ? USA ? Elsewhere ? Errigal Keerogue is a Civil Parish of approx. 21,000 acres located in the south-central part of County Tyrone, Northern Ireland. Last but not least, Sean who visited Caveys' Family World Wide Society site, confirms what Ronald says (see The main debate) about the origins of the name for those of the Caveys who have their roots in Ireland. 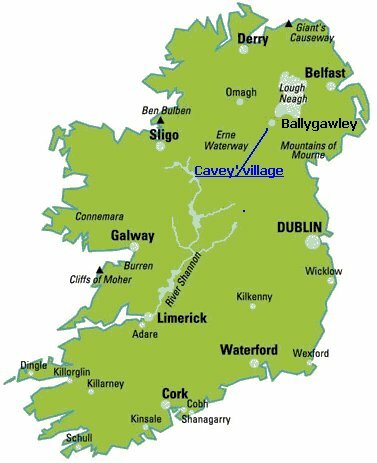 But I was still unable to locate this small city... until I got an e-mail from Feargal O'Donnell who wrote me : Cavey is a small area near the town of Ballygawley. And then I found it on my map of Ireland ! Ballygawley is at the crossing of the highways A4 and A5. 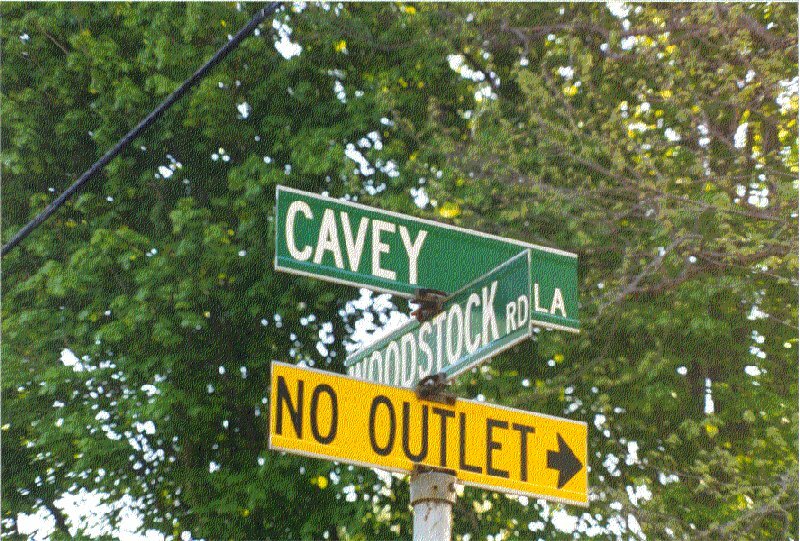 There is also a Cavey Road in this small city. In July 2014, I have finaly discovered a Cavey Road 2.2 km (1.25 miles) north-west from Ballygawley, Dungannon, Dungannon and South Tyrone BT70, UK. I was still searching for a village of that name as said on Cavey’s places page on the website but didn’t find it. Find a road instead. The road is located north-west from Ballygawley as expected (54°28'30.41"N ; 7° 3'8.53"W). Here is a url for a map of the townlands of Errigal Keerogue. 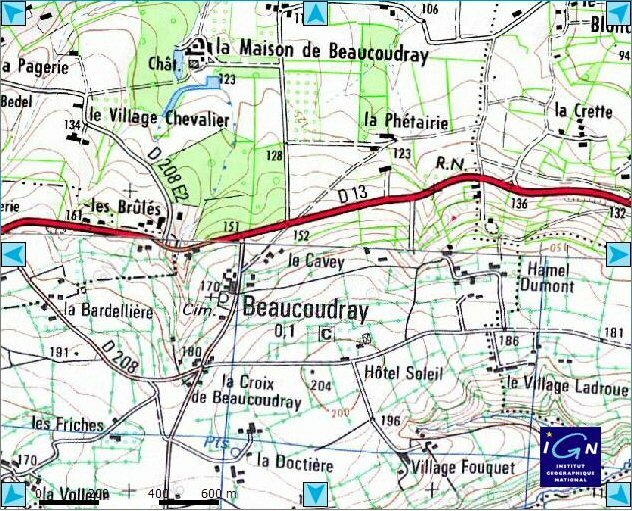 Cavey is one of those townlands comprising less than 300 acres and only 91 acres of arable land. About 9 families lived here in the mid 1800's. My family Irwin lived at the intersection of Cavey Rd. adn the Modern A5 Rd about 2 miles north of Ballygawley. It is Cavey Townland, Barony of Clogher, parish of Errigal Keerogue, County of Tyrone, Northern Ireland, formerly the Province of Ulster. The only other Cavey I know in Tyrone is the placename Donacavey in Fintona.